BRYAN EATON/Staff photo. 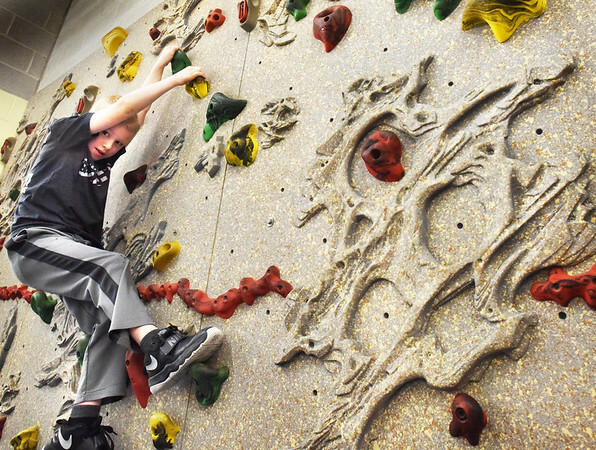 Cameron McCarthy, 7, ambles along the climbing wall at Amesbury Elementary School on Wednesday in Margaret Welch's physical education class. They were doing a month-end review of activities they'd done including floor hockey and basketball.